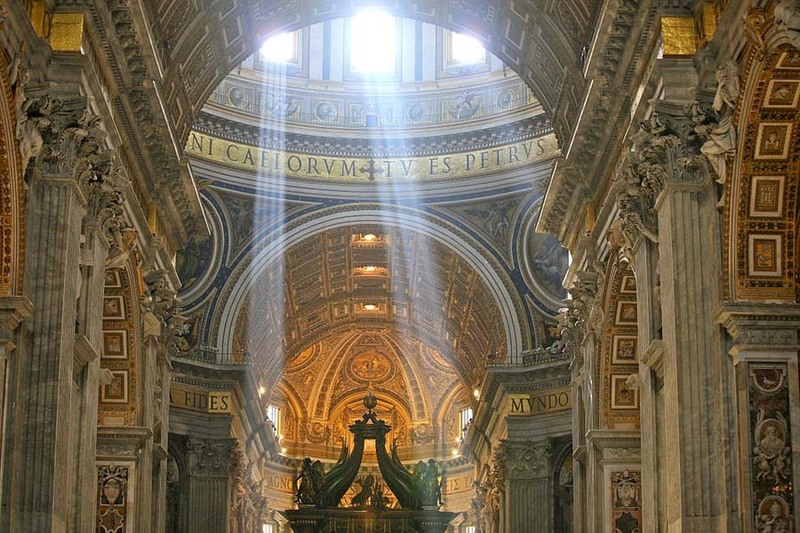 St. Peter’s Basilica is an Italian Renaissance church in Vatican City, the papal enclave within the city of Rome. It was designed by the greatest architects of its day, including Donato Bramante, Michelangelo, Carlo Maderno and Gian Lorenzo Bernini. 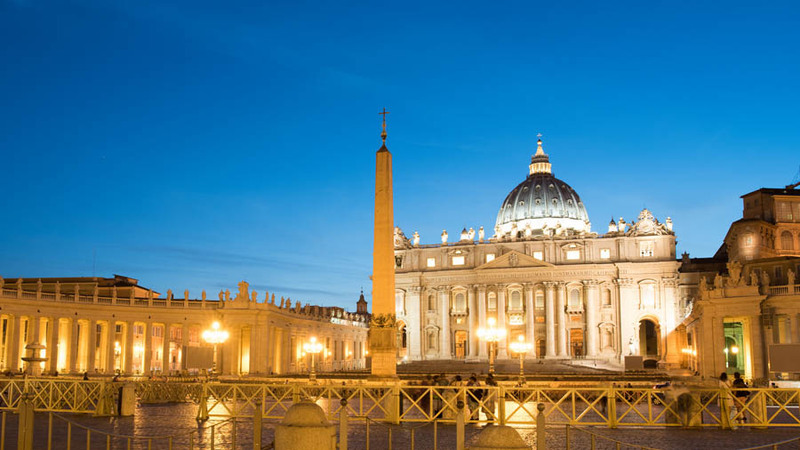 Even though it is not the cathedral of Rome (that title belongs to the Archbasilica of St. John Lateran), most Papal ceremonies happen at St. Peter’s Basilica because of its great size and location entirely inside the sovereign jurisdiction of Vatican City. The Basilica is the burial site of St. Peter, and there has been a church on this site since the time of Constantine. Construction of the present basilica, replacing the Old St. Peter’s Basilica of the 4th century AD, began in 1506 and was not completed until 1626. 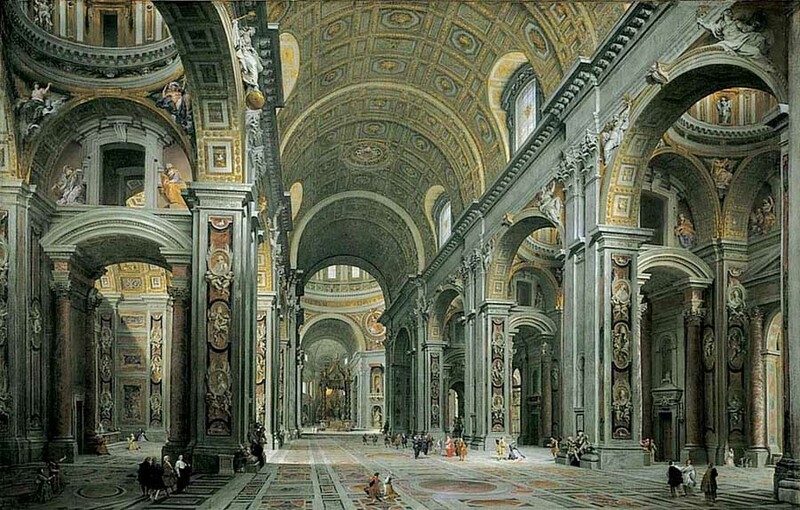 Pannini, 1731 – The Nave of St. Peter’s Basilica in the Vatican. This is one of a series of paintings Pannini did of this subject.